A season that started with such promise and continued with an impressive unbeaten run then crashed down to earth with near-administration and ended with losing almost their entire squad after the restructure saw Millwall lose their players to clubs around the country. Behind the scenes, the entire staff also changed. 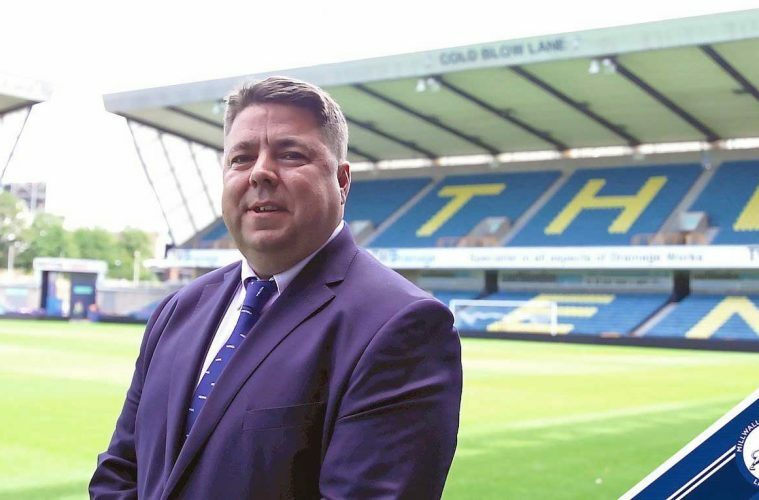 Diane Culligan came in as the new Chair of Millwall Lionesses while former Arsenal head coach Pedro Losa joined as Director of Football. With Phillips in charge of Arsenal’s development side during Losa’s time in charge, it should perhaps be less of a surprise that someone whose association with the women’s game goes back a decade working with one of the best youth academies in the country should take on a role with a team needing to build a squad from scratch. “I coached at Arsenal for eight years,” said Phillips. “I coached the Under-15s and 17s for two years, and the development side after that. After Burch moved on from his role, Phillips was approached by Culligan and in mid-July was called in for the first of three meetings that would eventually lead to him taking on the job of new manager. Few, though, would have been envious of the task in front of him. Only Leanne Cowan, who Phillips describes as “Millwall through and through” was confirmed as staying at the club while Georgia Giddings was waiting to hear about the club’s plans before committing herself for the new season. Phillips went back to his old club and brought the likes of Gabby Ravenscroft, Lia Cataldo, Kalani Peart, and Beth Lumsden out of the Arsenal academy while many more were promoted from Millwall’s own Regional Talent Centre. Ravenscroft and fullback Lucy Fitzgerald have been regular members of England’s Under-19s squad this season but the average age of the squad is brought up only by a couple of experienced members such as Cowan. It’s shown so far in Millwall’s results. A team which could have won the league last season languishes at the bottom of the table with just one point so far this season. Last Sunday, the Lionesses had conceded three against Durham inside 10 minutes but Phillips says he’s starting to see signs things are improving. “We’ve had one draw and no other positive results in the way of points but I am seeing the concepts we’re starting to work on in training come into games now. For a lot of these girls, we’re ten games in and some of these players haven’t played all of those games, some girls have only had six or seven first-team games, it was going to take time to process. Has it been hard to keep young heads up? With many players experiencing first-team football for the first time and results having been tough, Phillips has been happy with the attitude of his players in the face of adversity. That next game sees Millwall travel to Manchester United this Sunday, a match which more than any other shows the disparity in places in the new Championship: a side made up largely of players straight out of various development squads against a side training full-time training at Manchester United’s first-team training ground, housing internationals such as Siobhan Chamberlain and Alex Greenwood, and a range of the best young players from around the leagues. But despite some realism over the challenge facing them, Phillips says Millwall will treat the match like any other, with an even tougher encounter against runaway FA Women’s Super League leaders Arsenal in the Continental Cup coming a few weeks later. “Manchester United have done amazing things with their women’s team. For a club like Manchester United they had to, their brand couldn’t allow them to do things half-heartedly. We’ll prepare like we do for every game. We’ll look at how they play, we’ll look at our game plan, and we’ll go out and try and be as competitive as we can be. While short-term pressures have been lifted by The FA announcing there would be no relegation from the Championship this season, it allows Phillips, his staff, and the club as a whole to focus on the long-term aims, something Phillips admits revolves around an eventual promotion to the FA WSL. Millwall moved to Dartford FC in the summer, a modern facility which Phillips says was in mind of it meeting the criteria for an FA WSL stadium in the future, expanding by saying every move being made by the club right now is in mind of the long-term. Everything is being done to get Millwall back in the Women’s Super League,” he admitted. “The club has a lot of history in the women’s game. They were the first team to associate with a men’s football club, they were the first team to set up a centre of excellence, and people forget Millwall have some major honors on the board, probably quite a few more than some of the WSL clubs. “It is to be the club that will generally put out a younger side, that’s one of our core values. Our three- to five-year plan was to provide a good football and education program. The club is making movements to put that in place and fingers crossed that’s for the start of next season. Coupled with that, we’ve been going to a full-time schedule for the first team and maybe the academy.